This week Nate and Craig are joined by multi-legend player and recently #1 legend player Shockii to discuss all things wild Hearthstone. 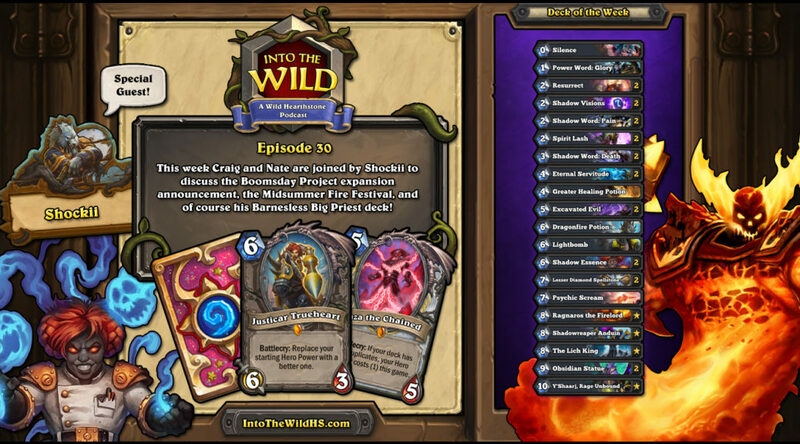 We talk about the recent patch change, the fire festival and of course BOOMSDAY! We finish by going over a Big Priest deck without Barnes! NOW LET’S GET WILD!